Mary was just ten years old when her life took a turn for the worse. Her whole family went grocery shopping and Mary felt like a grownup when she was allowed to stay at home alone for the very first time. She waved her family goodbye, not knowing that this would be the last time she would see them alive. Her relatives weren't willing to take in a child who was angry at the world, so Mary ended up in foster care. The years that followed were rough, but all of that changes the night she meets Miller in the bar she works at. Will Mary have the strength to see that not everybody has bad intentions? Miller is part of a extraordinary clan. The members all have special abilities. Miller and several others can talk to birds. They each have a connection with a bird, that is also being considered a family member. A while ago they found a stone in the mountains and Jinx, who has a super genius mind, is investigating the capacity of this gem. When Mary is being kidnapped, so that they can exchange her for it, everybody is on high alert. A videotape is sent to them, with proof of the horrific way they're treating Mary. Will the clan be on time to rescue Mary and why is this stone so important? Mary has built a good life for herself. After she found refuge with a loving family when she was just fourteen years old, Mary was able to finally start living again. She found happiness and now she's a skilled artist. Even with all the love that is surrounding her Mary still feels like the broken child nobody wanted. She often misreads what people are saying, thinking that they don't need or want her around. Mary is so strong and resilient and she's a person you just have to love. She's sweet, but she won't let anyone walk all over her. Mary is fierce in her own way and I kept wishing for her to accept that she has found a new family to love her forever. Miller is a bit older than Mary and he isn't counting on having feelings for her. When she's kidnapped he has to watch her getting beat up and this almost brings him to his knees. He helps Mary to stay sane and slowly makes her confront her nightmares. Miller is a badass warrior, but he's kind and caring at the same time. Mary means everything to him and he'll do whatever it takes to keep her safe. He's patient, but when people are crossing him Miller will go after them with all the weapons he has at his disposal. I loved to read about this big, beautiful man and think Mary couldn't have picked a better person to fall in love with. Picture This is a fascinating story about understanding what it's like to be part of a big and special family whose members look out for their own. It's the third book in the Birds of a Feather series and I loved it just as much as the previous one, Sweet Water. Every book is about a main character who is a part of the clan and I like it that through each story the reader gets to know this family better and better. Ever since I started reading the Birds of a Feather series I have been hooked. I love the combination of paranormal abilities with normal life and every day struggles. Lena North's writing is honest and real and I could easily sympathize with the main characters. I will absolutely read the rest of the books in this series as well. Lena North has set up the Birds of a Feather stories in a way that enables them to be read as standalones, but I do think that they come out even better when they're being read in chronological order. The series is a great choice for readers who love books with smart main characters. Three very lucky winners will receive great prizes. 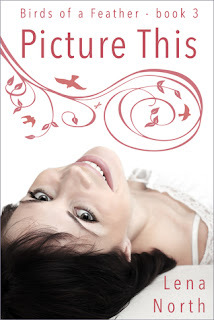 The first prize is a $25 Amazon gift card, the winner of the second prize will receive digital copies of the complete Birds of a Feather series and a third prize winner will get a digital copy of Picture This. 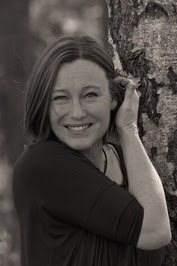 Lena North is a new Author for me. Thanks for the review. Sounds like a fascinating read and I will be checking out the whole series. This sounds like a really unique book! Thanks for the reader advice Anniek!